The Dragon Boat Festival, or Duanwu Jie, is traditionally celebrated on the fifth day of the fifth month on the Chinese lunar calendar - and hence is also known as Double Fifth Day. 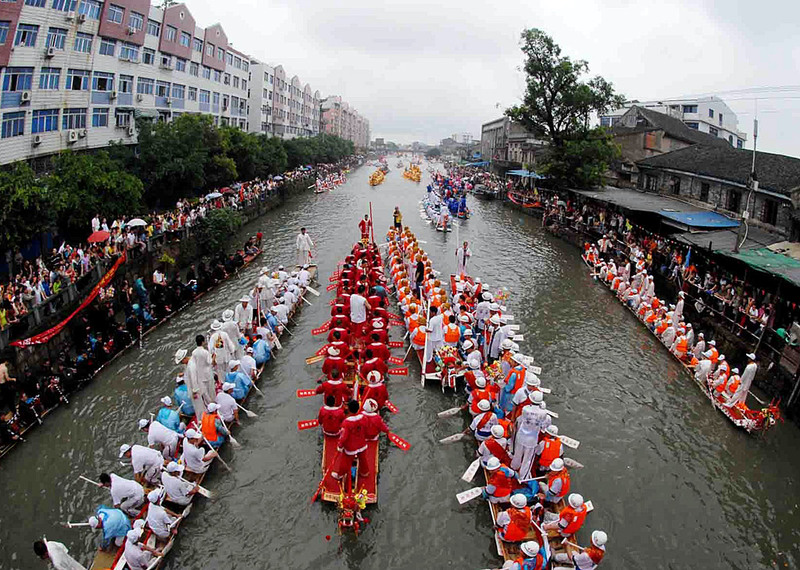 The main celebrations include dragon boat racing, eating Zongzi and drinking realgar wine, etc. The Dragon Boat Festival dates back to earliest times and a number of legends explain its origins. 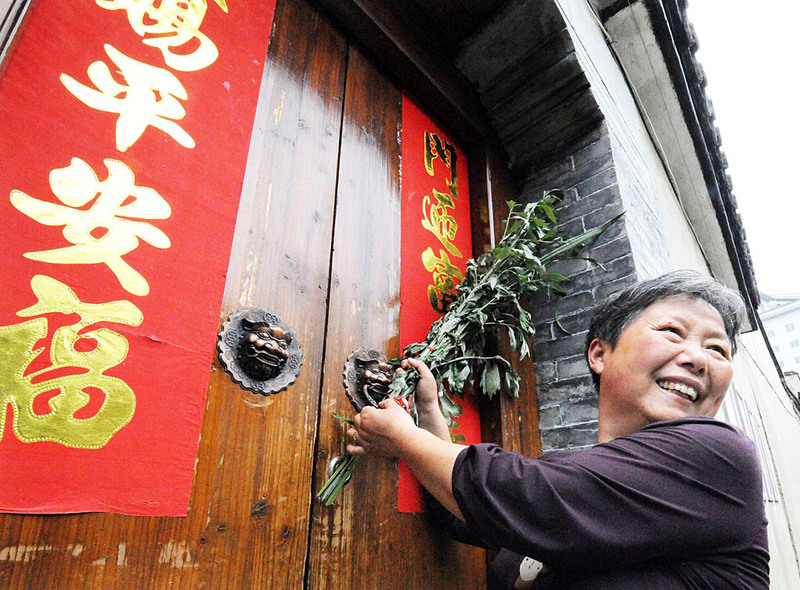 The best known story centers on a patriotic court official named Qu Yuan, of the State of Chu during the Warring States Period more than 2,000 years ago. Qu tried to warn the emperor of an increasingly corrupt government, but ended up being exiled. The State of Chu was soon annexed by the State of Qin. 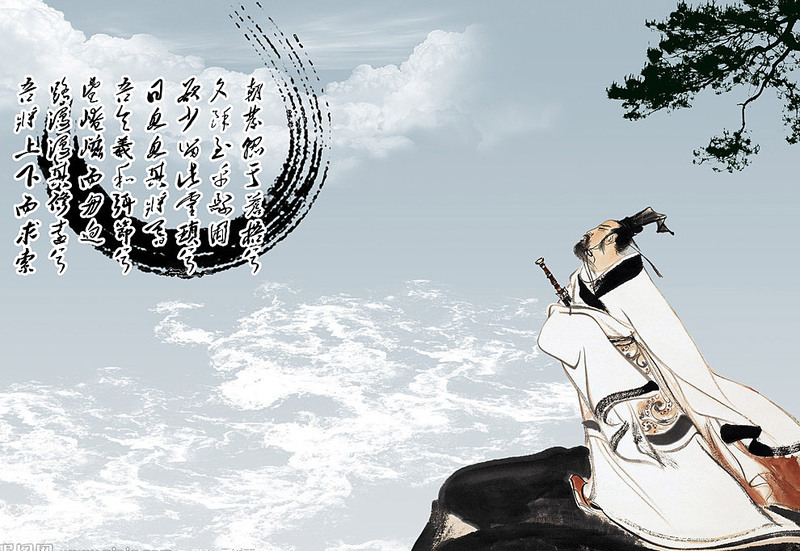 Qu Yuan, in despair, plunged himself into the Miluo River and drowns, one the fifth day of the fifth month in 278 BC. At the news of Qu Yuan's suicide, the lcoal people raced out in boats to look for his body. 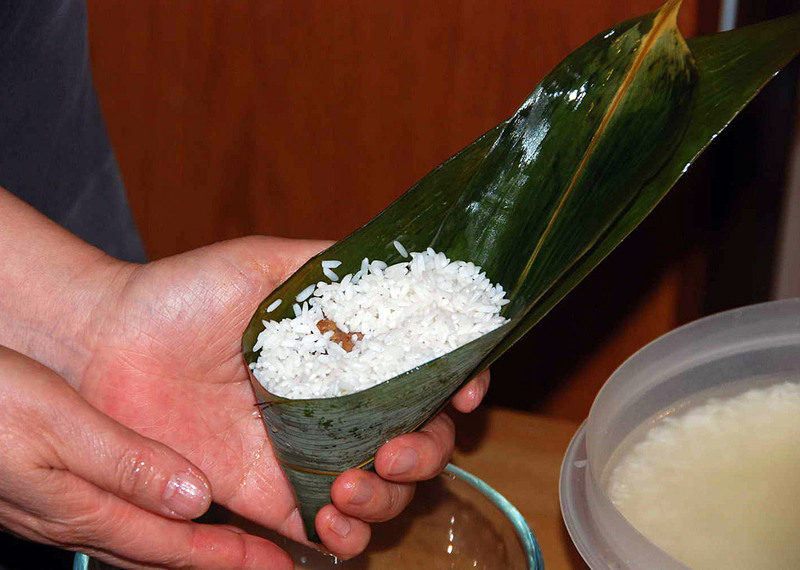 And, glutinous rice balls (zong zi) were thrown into the water, so that the fish wouldn't eat Qu Yuan's body. This later on turned into the custom of dragon boat racing and eating Zongzi. At that day, adults would drink realgar wine, and paint children's foreheads and limbs with the leftover realgar slurries. Also, Chinese people hang up calamus & wormwood. Both are for protection from evil and disease for the rest of the year. Dragon boat racing is an indispensable part of the festival, held all over the country. In the contest, competing teams row their boats forward to a drumbeat racing; the winner is the first team to grab a flag hung at the end of the course. The traditional festive food of the Dragon Boat Festival is zong zi - glutinous rice balls filled with egg, beans, walnuts, dates, mushrooms, and/or meat. The zong zi, once prepared, are wrapped in bamboo leaves and steamed.